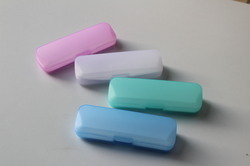 Manufacturer of a wide range of products which include optical plastic case, eyeglasses case, clear plastic spectacle case, optical frame cases, optical case and spectacle case. 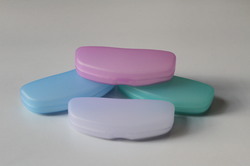 We are bulk manufacturers in All type of optical cases and we accept orders only above 500+ Pieces.We are offering Optical Plastic Case to our client. 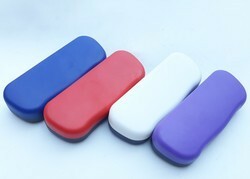 Made available by us is a pristine conglomerate of Eyeglasses Case, which is designed using premium grade raw material. 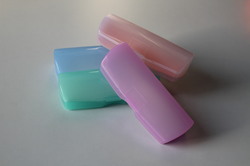 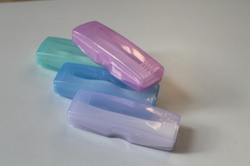 We are bulk manufacturers in All type of Clear Plastic Spectacle Case and we accept orders only above 500+ Pieces. 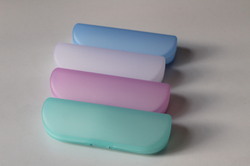 We are bulk manufacturers in All type of Optical Case and we accept orders only above 500+ Pieces. 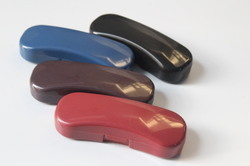 Made available by us is a pristine conglomerate of Optical case, which is designed using premium grade raw material. 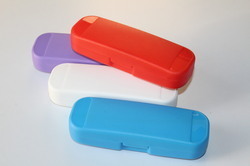 Best spectacle case with branding on upper side . 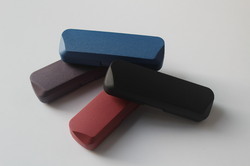 We can write anything on it and available in all type of colours with best quality and printing is free. 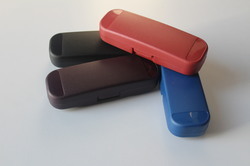 We are bulk manufacturers in All type of Spectacle Case and we accept orders only above 500+ Pieces.